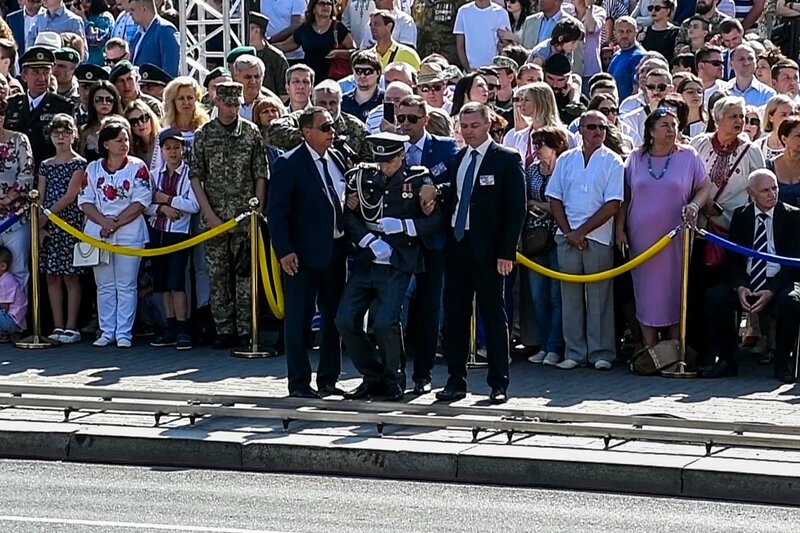 The soldier of the guard of honor lost consciousness during the speech of President Petro Poroshenko at the military parade in Kyiv. The corresponding video was published by Informator. The incident occurred on the ninth minute of the speech of the head of state. Probably, the guy felt bad, he was quickly picked up by the guard and taken out from the scene. Another soldier took his place. Another case of loss of consciousness occurred with the soldier of the Landing-assault troops. He was also given medical care. It is noteworthy that such incidents occur not for the first time in the presence of Petro Poroshenko. On May 31, one of the pupils felt bad at the school celebration with the participation of the president, and on March 26 during the festivities on 4th anniversary of the creation of the National Guard one soldier behind Poroshenko lost consciousness. On July 21, 2017 during the meeting of the Presidents of Ukraine and Belarus in Kyiv, the then head of the State Border Service, Viktor Nazarenko, lost consciousness. Earlier we reported that six thousand law enforcement officers maintain order in Kyiv during the celebration of the Independence Day. The Press office of the Police reports. '6000 police officers along with the National Guard and the State Emergency Service will maintain order during the holiday events in the city. Furthermore, a tight cooperation with the State Security Service of Ukraine is established,' reads the message. Earlier, from August 22, the MIA is working in enhanced mode due to the holidays. Also, the border defense of the state is enforced and at the Inter-Entity Boundary line in the area of the JFO in Donbas. 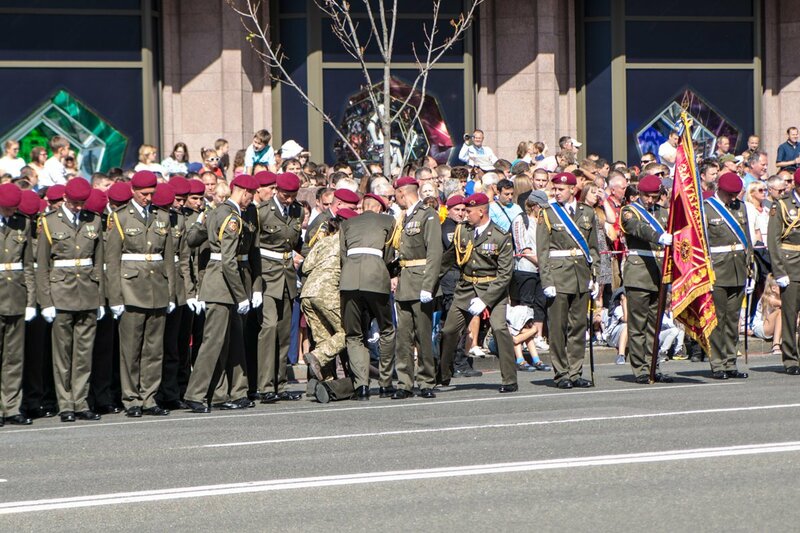 4.5 servicemen and 250 equipment units will participate at the 27th parade for the anniversary of the Ukrainian Independence. 112 Ukraine is broadcasting the parade on Khreschatyk.